Filmmaker Sanjay Jadhav took the social media to announce his next Marathi feature film 'Lucky'. The film will be helmed by Sanjay Jadhav along with Sanjay Kukreja, Suraj Singh and Deepak Rane of 'B Live Productions' and 'Dreaming Twentyfour Seven', as the producers. B Live Productions, who has in past produced events, is all set to debut in the Marathi Industry with film LUCKY. Suraj Singh, director of B Live Productions, says, "It was our long due wish to produce a Marathi film. 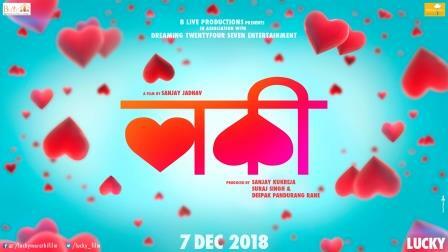 Sanjay Jadhav, being the leading filmmaker in Marathi cinema, we are delighted to associate with his film and look forward for the release on December 7." Filmmaker Sanjay Jadhav reveals, "We are presently working on the script. Post the script is locked we shall consider about the star cast. At this juncture we cannot reveal much about the movie." Produced by Sanjay Kukreja, Suraj Singh, and Deepak Rane, directed by Sanjay Jadhav, B Live Productions presents in association with dreaming twentyfour seven entertainment's film Lucky is all set to release in theatres on 7th December 2018 .